Whether it’s juniors taking their last official ID pictures or freshmen taking their first, picture day is always an exciting experience. Picture day took place Aug. 28 and 29 for freshman, sophomores and juniors while most seniors took their portraits right before the start of their last school year. Students and teachers took their pictures during their personalization periods. Juniors Luan Rios and Sierra Shaw talk about what faces they’ll be making for their last official school picture day. Shaw laughs at Rios when he playfully makes a funny face, stating that that’s the face he’ll make for his picture. Freshmen shared the most positive answers on their thoughts of their first high school picture day. 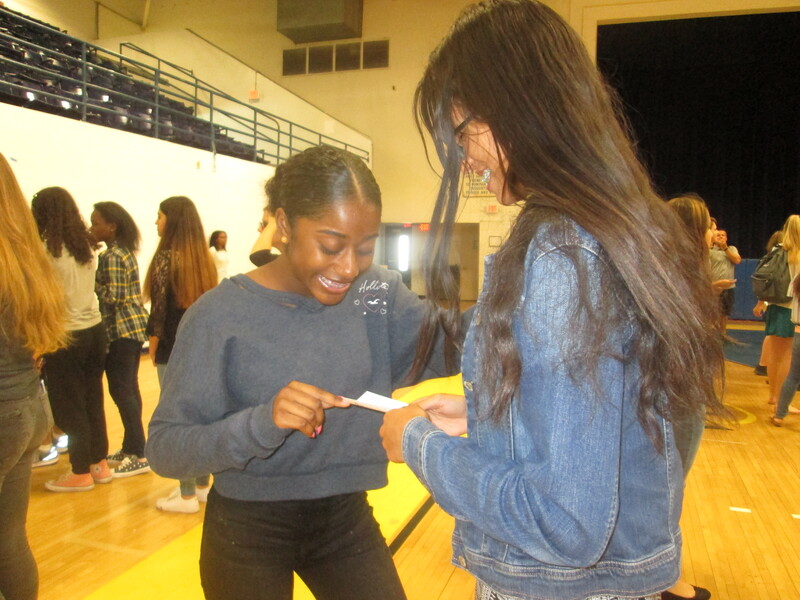 Freshmen Gianna Gentile and Eduardo Castro hold up their payment forms and discuss their first high school picture day. Both were excited to see themselves in a high school yearbook for the first time. Sophomores Jace Alexander and Wanda Dejesus have a conversation about last year’s picture day while waiting in line to get their cards. The two talked and laughed all the way to the front of the line. If students weren’t happy with their first picture, retakes were held on October 3rd during A and B lunches in room 164.